We create custom PowerPoint presentations that will impress your audience and maximize business engagement. We can also add complex animations to images, objects, and texts to bring your conventional presentation to life. All of our infographics are custom-made. Relevant and easy-to-understand content in engaging color and layout. The take-away of your pitch are essential. We provide print collateral for that complete presentation package. Let us add unique value to your presentation by sharing your message beyond the screen. Video continues to be one of the most effective ways to capture an audience. It’s a necessary piece that does not only inform but also entertains. SlideGenius can design and animate video with well-timed sequences, clean transitions, and articulat voice-overs. It’s a unique visual experience that will send the right message to your audience. We are a premier Presentation Design Studio servicing over 2,000 global clients. At SlideGenius, we know that a presentation is more than just a collection of slides; it’s an opportunity to tell your story. That’s why we have a team of expert presentation designers, copywriters, and graphic designers, all working to help you maximize your pitch. Let the leading PowerPoint design experts at SlideGenius take your project and your deadline head on. As a result, you will get a professionally designed PowerPoint quickly that will wow your audience ­­­— and your boss. Increase your sales volume, maximize conversion ratios, and raise your credit. View our client’s work and see what SlideGenius can do for you. Presentation design is our forte. Let us take your brand and tell your story. SlideGenius, a San Diego-based PowerPoint presentation design agency, has told the stories of over 2,000 clients, including Facebook, Mastercard, NASCAR, Pinterest, and Red Bull. We love presentation design and want to be transparent with you. If you have any questions not covered below, email info@slidegenius.com or fill out the contact form. Episode 319: Beware of mind-movies of uncertainty, with Rick Enrico. SlideGenius won the Gold Award in the AVA Digital Awards 2016. Gain insights about slide deck design, PowerPoint tricks and speaking strategies. Learn tips and tricks that you need to make an effective pitch deck through articles written by our very own contributors. Explore our library of educational videos that go over presenting, PowerPoint, and general tips and tricks. Helpful advice from our CEO at SlideGenius, Rick Enrico. Learn how to pitch like a pro, design presentations that put you ahead of the competition, and create a compelling core story to captivate your audience. We pride ourselves in providing quality content that can help you pitch like a pro. Get ahead of the competition. Ready to start a presentation project with SlideGenius? Reach out for a free consultation via our form or by phone. Or send us an email at sales@slidegenius.com. 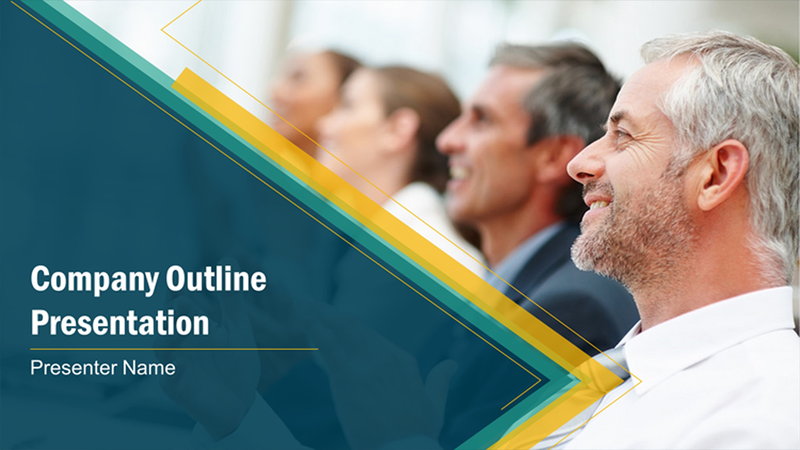 In just 15 minutes, we'll go over your project needs, objectives, pricing, and expectations to find the right PowerPoint or presentation solution. Sharpening your presentation skills isn’t limited to preparing before the actual thing. You have to take a look at the results of your pitch, too. Get hundreds of PowerPoint slides for free. Sign up for your free account today. Knowing exactly how your audience reacts will give you information on what you need to fix. Looking into these lets you sort between what your listeners like and don’t like about your performance. By gauging the quality of their feedback, you’ll know what techniques to keep and which to remove. In fact, this method of evaluation is so crucial that companies such as Volkswagen and marketing experts like Northwestern University’s Philip Kotler (1972) highly recommend it to keep their customer relationships healthy. In his article, “A Generic Concept of Marketing,” Kotler discusses how these help gauge audience behavior and what it costs to achieve the results you want. No matter how you present your ideas, they will affect your viewers in some way. Positive responses, such as smiling and nodding in agreement encourage better rapport between speaker and audience. Negative behavior, such as blank stares or people dozing off, might hurt your reputation in the long run. Were your slide designs relevant to your content? Was your information presented in an easy-to-read format? Observing and remembering these simple reactions allow you to build your skills as you go along. Did you spend a longer time formatting content than you should have? Did you have to buy any information for your presentation? Was there anything you could save up on or do more efficiently next time? As with any business, costs—time, manpower, and money—matter, especially when it comes to marketing and advertising. It’s no different when making a PowerPoint to sell your services, products, and ideas. Finding out what to save up on and what to invest in can make the difference when planning for your next pitch. Audience feedback can sometimes be so overwhelming that you don’t know where to start. However, applying these two control skills will help you clarify what you need to improve on and how to do it. At the end of the day, considering your audiences’ reactions can give you an edge over other presenters. Using that to improve your PowerPoint will become second nature once you realize that you deal with people, too. Download free PowerPoint templates now. Get professionally designed PowerPoint slides weekly. Need a powerpoint presentation designed? And Soon? We can help. Get your free quote now.